Baseball Miracles, a nonprofit organization that introduces baseball and softball to economically disadvantaged children around the globe, recently visited Yabucoa, Puerto Rico, for a three-day clinic. The organization was founded by John Tumminia, a professional baseball scout for the Chicago White Sox who grew up playing baseball in Brooklyn. He was a parishioner at St. Frances de Chantal, Borough Park, attended St. John’s Prep, Bedford-Stuyvesant, and the went on to St. Francis College, Brooklyn Heights. 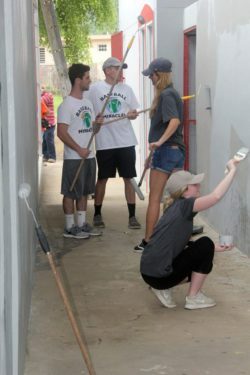 In addition to providing baseball and softball instruction, the Baseball Miracles team helped update the facilities at Martin Morales Soto Field, home of the local Little League. Three-time MLB All-Star and former New York Mets second baseman Carlos Baerga gave a special presentation to the participating children. To donate to the cause of spreading America’s pastime to children worldwide, visit baseballmiracles.org and look for the “Donate Now” link. The Catholic Youth Organization hosted its sixth annual Christmas girls’ volleyball tournament throughout the month of December. The following teams won their respective divisions. 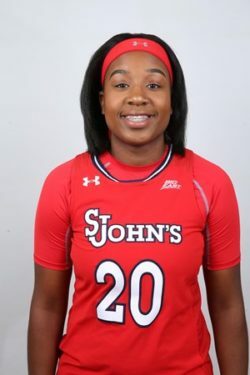 Akina Wellere, a senior guard on the St. John’s University, Jamaica, women’s basketball team, scored her 1,000th career point on Jan. 4 against Xavier University, Cincinnati. The Chicago native is now the 24th student-athlete in Red Storm women’s basketball history to reach the plateau. 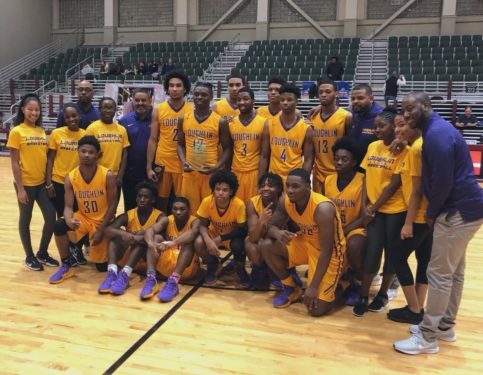 The Bishop Loughlin H.S., Fort Greene, boys’ varsity basketball team has continued its red-hot opening to the season with a victory in the ninth annual Allstate Sugar Bowl National Prep Classic, held Jan. 2-5 in New Orleans. The Lions took down Dunham School, Baton Rouge, La., 67-58, in the tournament’s championship game. The win marked the school’s 11th straight to start the season. Senior forward Julian Champagnie took home M.V.P. honors, while his twin brother, senior forward, Justin Champagnie earned All-Tournament Team honors. The Tablet is the newspaper of the Diocese of Brooklyn, serving Brooklyn and Queens since 1908.